Here’s something to look forward to next year. 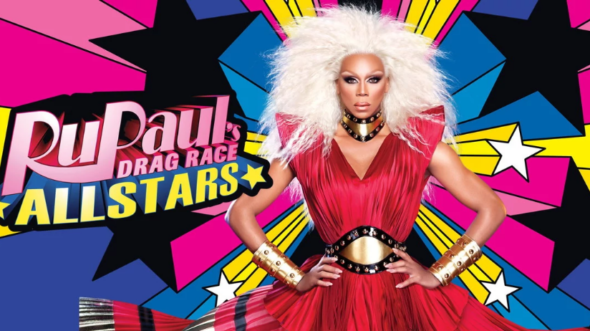 Recently, VH1 announced season three of RuPaul’s Drag Race All Stars will debut in January. The new season will feature the following previous Drag Race contestants: Aja (season nine; from Brooklyn, NY), BenDeLaCreme (season six; from Seattle, WA), Chi Chi DeVayne(season eight; from Shreveport, LA), Kennedy Davenport (season seven; from Dallas, TX), Milk(season six; from New York, NY), Morgan McMichaels (season two; from Los Angeles, CA), Shangela (seasons two & three; from Los Angeles, CA), Thorgy Thor (season eight; from Brooklyn, NY), and Trixie Mattel (season seven; from Los Angeles, CA). Season three of RuPaul’s Drag Race All Stars premieres on VH1 on January 25th at 8 p.m. ET/PT. New York, NY – December 14, 2017 – After a three-time Emmy® Award-winning season of “RuPaul’s Drag Race” left fans shook and grasping for their masks, fan-favorite queens from previous seasons will battle it out for their second chance at the crown on “RuPaul’s Drag Race All Stars.” The new season will return with an explosive 90-minute premiere on an all-new night, Thursday, January 25 at 8:00 p.m. ET/PT on VH1. The nine queens competing for the gold and title of “America’s Next Drag Superstar” were previously announced in an hour-long televised pre-season episode, and include: Aja (season nine; from Brooklyn, NY), BenDeLaCreme (season six; from Seattle, WA), Chi Chi DeVayne(season eight; from Shreveport, LA), Kennedy Davenport (season seven; from Dallas, TX), Milk(season six; from New York, NY), Morgan McMichaels (season two; from Los Angeles, CA), Shangela (seasons two & three; from Los Angeles, CA), Thorgy Thor (season eight; from Brooklyn, NY), and Trixie Mattel (season seven; from Los Angeles, CA). What do you think? Are you a fan of RuPaul’s Drag Race? Will you watch the new season? More about: RuPaul's All Stars Drag Race, RuPaul's All Stars Drag Race: canceled or renewed?, VH1 TV shows: canceled or renewed?